Allergy Awareness Week runs from 20th April to 26th April and is organised by Allergy UK to support allergy sufferers and raise awareness of the issues they face. In the UK, the number of allergy sufferers increases by five per cent year on year, with half of those affected being children. With such a large amount of adults and children affected, the development of products that are allergy friendly is key in helping sufferers minimise their symptoms. 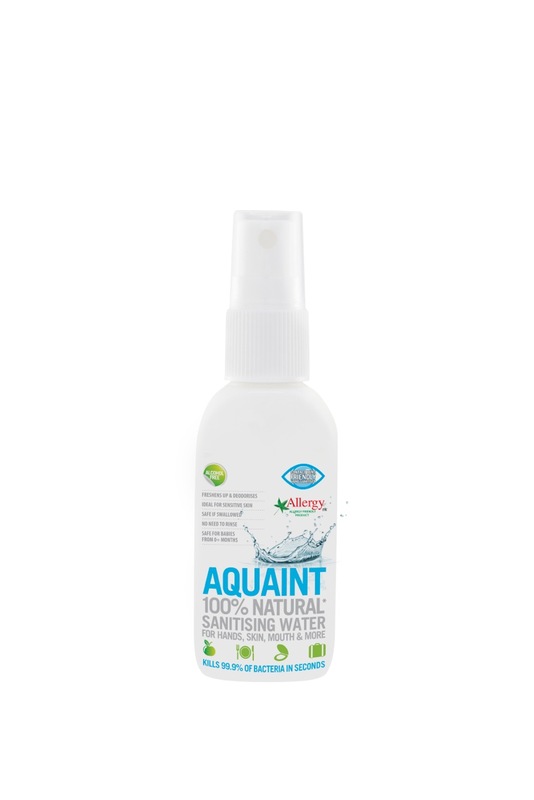 Aquaint is endorsed by Allergy UK as an ‘Allergy Friendly Product’ and it is a 100 per cent natural, eco-friendly water-based sanitiser that kills 99.9 per cent of bacteria in seconds. It is the safest sanitiser on the market and ideal for the most sensitive and delicate skin, as well as those suffering from eczema, psoriasis or dry skin conditions. Its lack of chemicals, fragrances and preservatives mean it is completely harmless, even if digested. It can even be used as a mouthwash. Two variants of Aquaint water-based sanitiser are available – one for the baby and child market and one for multi purpose use. Both products are available in a 500ml trigger spray bottle (£4.99) and a convenient 50ml finger pump bottle (£2.49) – perfect for popping into your bag for long journeys or when the family is out and about. 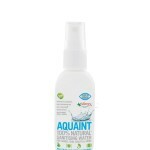 Aquaint can be used to freshen-up the hands and body naturally, used as a mouthwash or mouth freshener and sprayed directly on to the skin or surfaces without the need to rinse off as it does not leave behind any residues or toxic chemicals. Aquaint is perfect if you’re worried about exposure to harsh chemicals as it does not contain any alcohol, Parabens, Pthalates, SLS, Triclosan, preservatives or fragrances. Aquaint is stocked in Boots, Ocado, Babies R Us, JoJo Maman Bebe, and Amazon.